Zucchini is plentiful all summer long, yet can get a bit too routine after awhile. Well, my friend and colleague, Suzanne Carrerio, takes this summer squash to a whole new level by adding garbanzo beans, cilantro and a splash of vinegar to make a spirited party dip. Try it, you’ll like it! Line a large sheet pan with a clean dish towel or a double layer of paper towels; spread zucchini over towel. Sprinkle with 3/4 teaspoon salt; let stand 5-10 minutes. Roll zucchini in towel and squeeze out moisture. In food processor,* combine zucchini, garbanzo beans, cilantro and garlic; process until smooth. Add vinegar, oil, 1/4 teaspoon pepper, and jalapeño, if desired; process 10 seconds or until smooth. Adjust salt to taste. 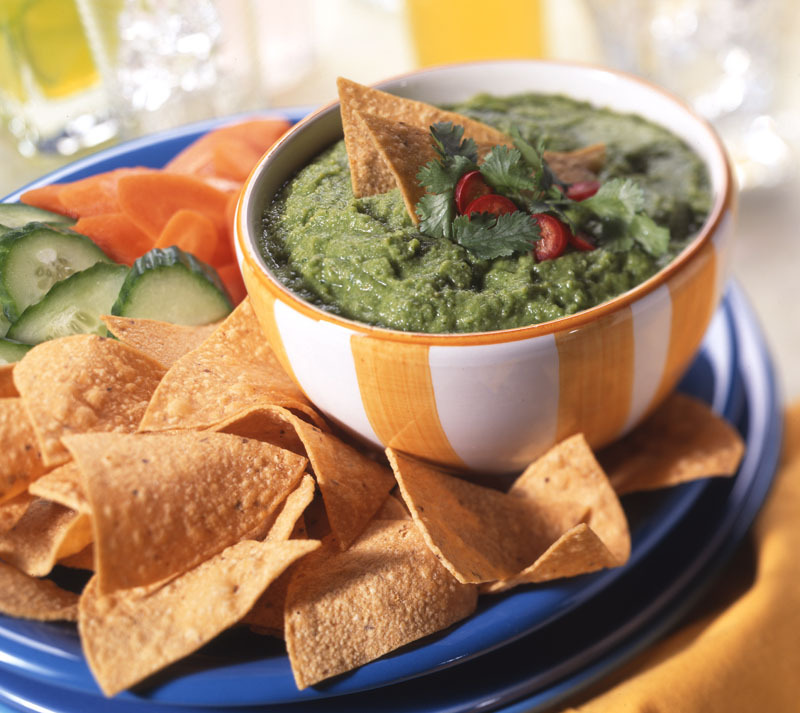 Serve dip with chips, carrot sticks, cucumber slices, toasted baguette slices or pita bread wedges. — If you don’t have a shredder for the zucchini, cut them into very thin slices and spread out on the tray; sprinkle with salt. The slices do not to have to be uniform or pretty since they’ll be pureed. — I’ve not tried it, but this dip could be made in a blender if pureed in batches.